The Fort (Battery) was built 1890-91 . The first fort in the UK to be built of mass concrete . Armaments 3 - 10inch RML ( Rifled Muzzle Loading ) Guns , replaced in 1900 by three six-inch Breech Loading (BL) Guns . Accomodation for 91 men . Extensive changes to the battery and armaments over the life of the site. 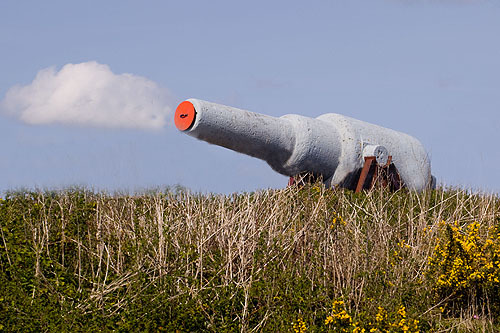 In 1899 3 guns were mounted to the east of the battery , now overgrown .